The first Dolby Vision TV on the market delivers in every way. Vizio's Reference Series is an extremely capable television, delivering more light output and sheer color ability than almost anything we've had in the lab. The only drawback is that it's a little ahead of its time. It's too early to test it only for Dolby Vision compatibility or DCI-P3 color (the current/next steps in TV performance), so we ran mostly the same tests as we would on any other TV, including checking it for rec.709 (standard dynamic range/color) gamma, grayscale accuracy, and color production. I tested the Calibrated Dark, Calibrated, and Vivid picture modes to get the best idea of how the RS65-B2 might look to most viewers. While we intend to eventually test for HDR/Dolby Vision, for the sake of timeliness and scoring parity we currently are only scoring the Reference Series against rec.709/standard performance margins. Because it tested well out of the box, and uses a very specifically tuned gamma to compensate for FALD's effects on light output, I haven't yet calibrated the RS65-B2 to home theater standard performance. 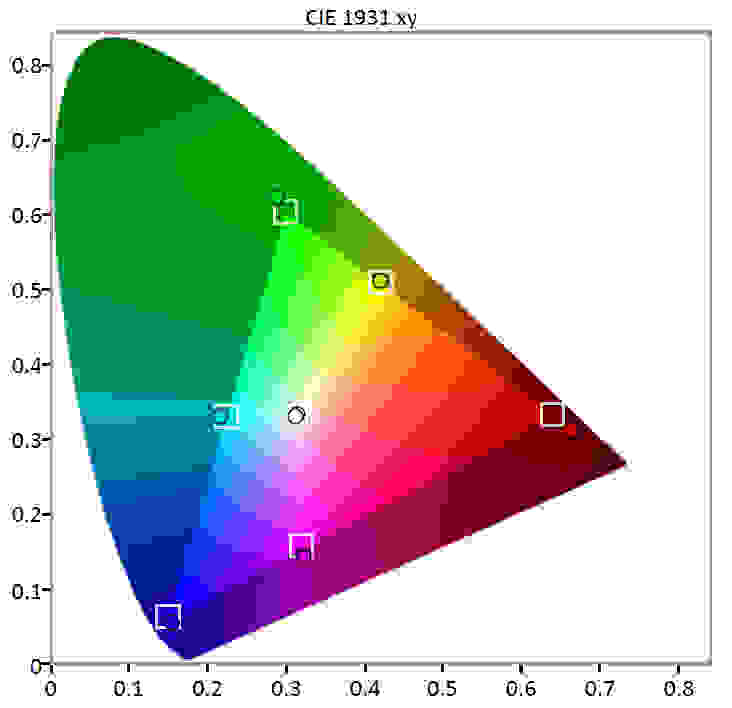 Even in the Calibrated Dark picture mode, the RS65-B2 produces slightly more red/green than is necessary for Rec.709/sRGB digital color production. This isn't necessarily a bad thing, but purists will want to hire a calibrator. In Vivid mode, the TV produces an unprecedented amount of color. 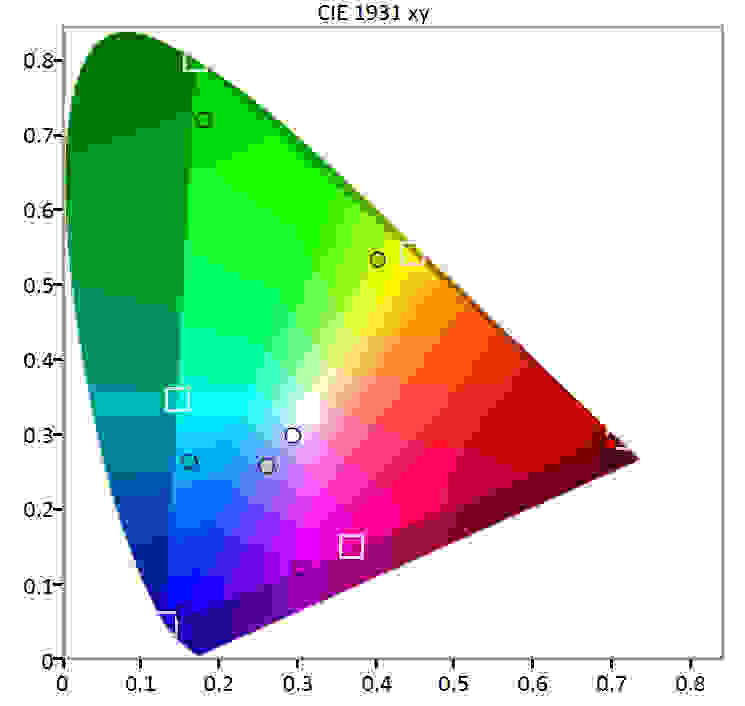 While Vivid mode doesn't produce the next-level UHD Rec.2020 color gamut with 100% accuracy, it creates as much or more color than any TV we've had in the lab. In the Calibrated Dark picture mode, the RS65-B2 tested with excellent grayscale tracking. 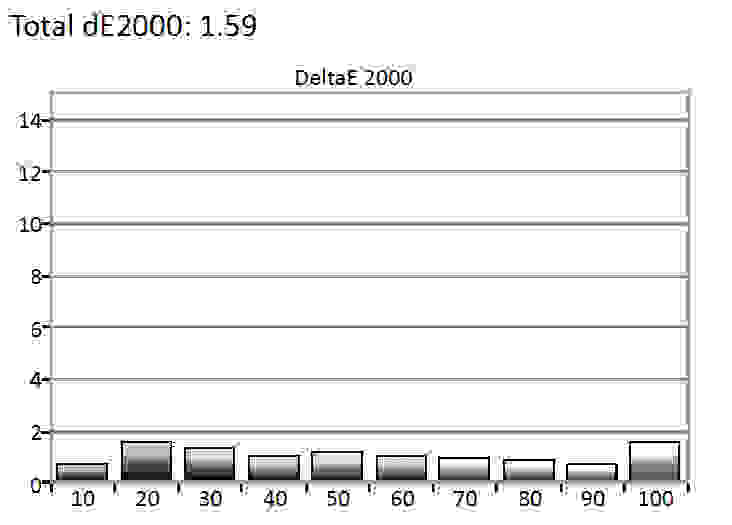 DeltaE was less than 3 (meaning non-visible error) through the entire grayscale spectrum. 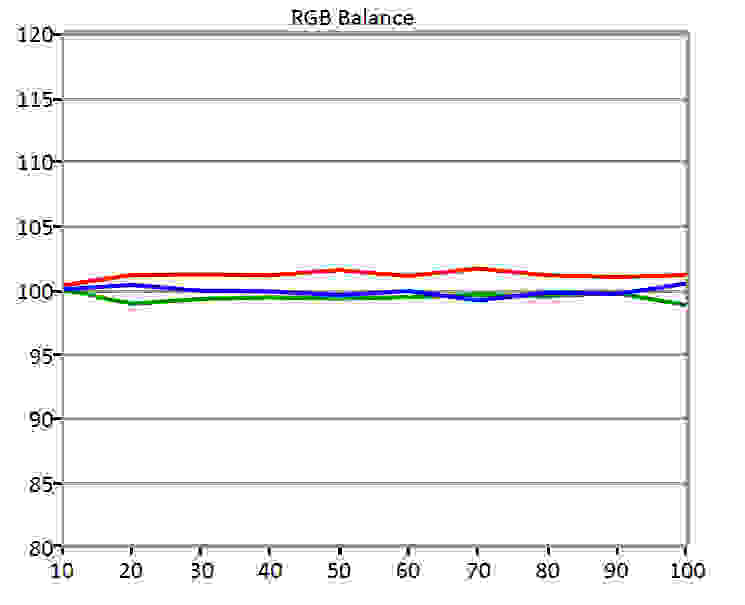 The RS65-B2's RGB balance results were very impressive. Even without calibration, the TV's grayscale tracking is nearly flawless. 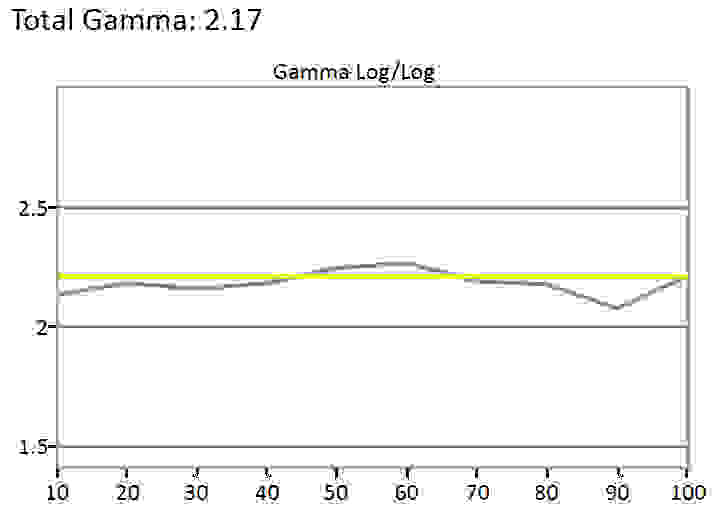 While not entirely flat, the RS65-B2's 2.17 gamma is quite close to the 2.2 standard for average room performance. This is a great out-of-box result, for sure.